We all know the importance of eating healthy, and we seem to be constantly confronted with different options as to which way is the best. Truth be told, it’s mostly about balance and using natural alternatives to the unhealthy ingredients that many of us grew up using. As you will see in this delicious Southwest Chicken recipe, you don’t have to sacrifice great taste for nutritional value in your food. This recipe is accompanied by a recipe for cilantro lime slaw, to make a balanced meal. Eating healthy doesn’t need to be about depriving yourself. It’s more about finding a balance that will help you reach your goals. 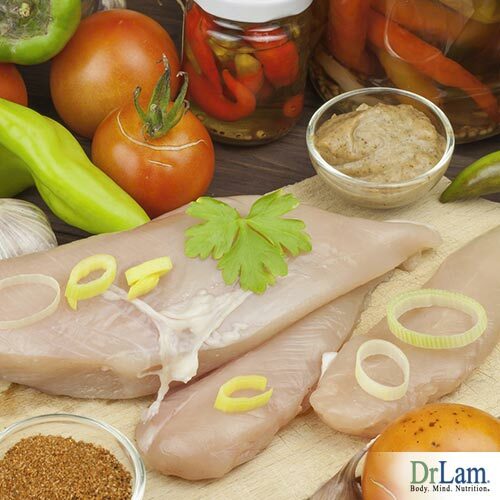 There is a twofold gain from taking the time to prepare healthy foods. The first of these gains has to do with adrenal fatigue and the NeuroEndoMetabolic (NEM) Stress Response. Adrenal fatigue can occur when you are too stressed out for too long, and your adrenal glands can no longer keep up with the demand for cortisol, the main stress hormone. This is not the first place, however, that stress begins to take hold. The NEM Stress Response is the system that triggers adrenal function. The brain signals the hypothalamus, which in turn alerts the pituitary glands, and ultimately the adrenals, to respond physically. The NEM affects how well you absorb nutrients, how much cholesterol your body has, and how much energy you have, among many other things. The causes of stress are nearly limitless, but the mitigating practices are well known. These include eating enough healthy foods to support your body through times of stress. The second benefit of cooking at home is that when you take the time to thoughtfully prepare a home cooked meal, it can be a therapeutic experience. When you are constantly stressed and don’t take the time to take care of yourself, you worsen any adrenal fatigue issues you may have. Try to make the time in the kitchen fun. Consider including your family in the process. It’s a mind-body approach to reducing stress. Time in the kitchen can lower stress levels and go a long way toward balancing your life so that you can build a healthier you. In the end, it’s not just a Southwest Chicken recipe that you get. It’s a healthy practice for you and your family. A healthy approach to food in the home is an important aspect of stress recovery, but it is by no means a complete solution. If you are experiencing serious problems from adrenal fatigue, you should reach out to a healthcare professional for advice. There are many steps to recovery from adrenal fatigue, but feeling empowered to make a change can help you take the first steps to a healthier life. Place the chipotle pepper into a small amount of boiling water to re-hydrate it for 20 minutes or so. From there, cut the side of the pepper and scrape out the seeds. 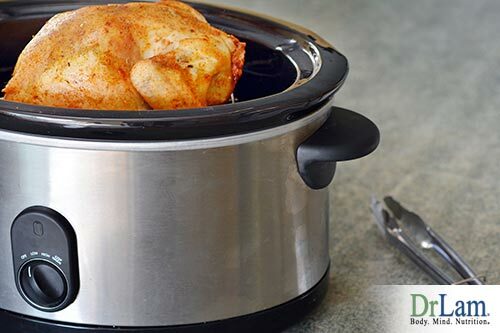 Put the chicken into a slow cooker and sprinkle the chopped onion over the top. Use a blender to combine the vinegar, garlic, tomato puree, liquid smoke, coconut sugar, cumin, chili powder, coriander, and rehydrated chipotle pepper. Blend on a low setting until all of the ingredients create a smooth sauce. Pour over the chicken and onions in the slow cooker. Turn the slow cooker on low for 7-8 hours. Then, shred the chicken with a couple of forks. In a large mixing bowl, whisk the lime juice, olive oil, chili powder, honey, and salt together. Mix in cabbage, cilantro, and carrot. Place it in the refrigerator. This tastes the best if it sits for at least 30 minutes in the refrigerator prior to serving to ensure it’s chilled properly. However, the cabbage will lose its crispy texture if it is left to sit for too long. Serve with chicken on the buns topped with sliced avocado and a spoonful of lime slaw. You’ll be glad that you created this dish, and everyone who is around to enjoy it with you will be thankful. This Southwest Chicken recipe is sure to be a crowd-pleaser.